Winamp is a free, fast and flexible multimedia player for Windows and Mac OS X, developed by Nullsoft. It's one of the most popular and industry leading software for handling audio CDs, MP3 audio files, and streaming audio broadcasts. Winamp discontinued on 2013, but it may "revive" in the near future. Winamp supports playback of many audio (MP3, OGG, AAC, WAV, MOD, XM, S3M, IT, MIDI, etc) and video types (AVI,ASF,MPEG,NSV). The software has an extremely customizable media library and allows you to rip and burn your favorite music CDs. Moreover, Winamp has thousands of skins and plug-ins that allow you to change the look-and-feel of the player, as well as add new features. 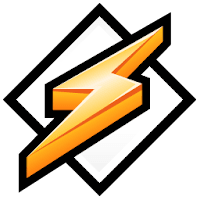 Winamp also has access to thousands of free songs, videos and online radio stations from SHOUTcast Radio and AOL Radio with XM. Disclaimer: Direct downloads for the lastest version of Winamp 5.666.3516 are provided by the official software's author, we can't guarantee safety, availability or download speed. Moreover, we don't and we won't provide any pirated/illegal versions or tools. We recommend you to avoid it as these methods can harm your device. If you like the software, buy it to support the developers. (We provide software discounts for many worldwide brands).